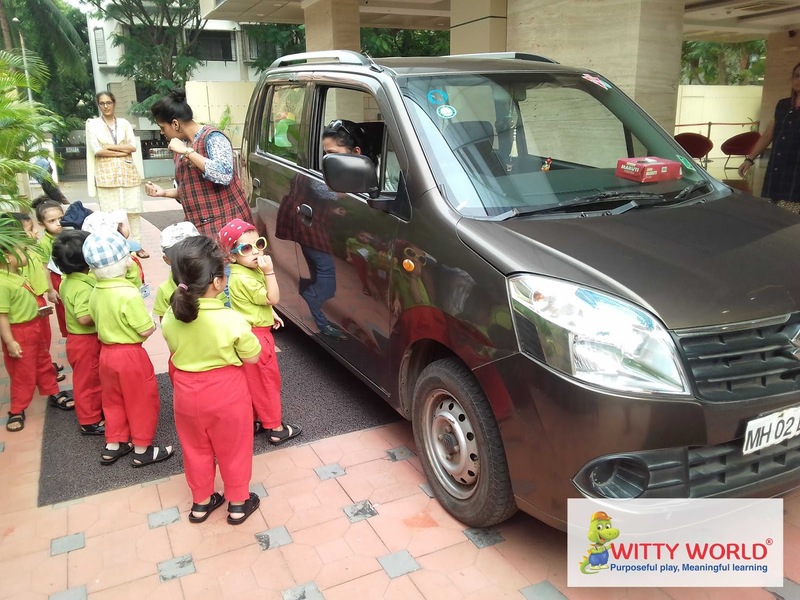 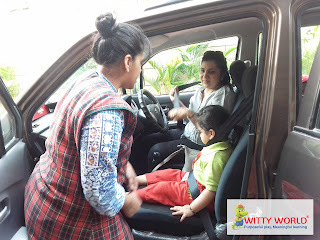 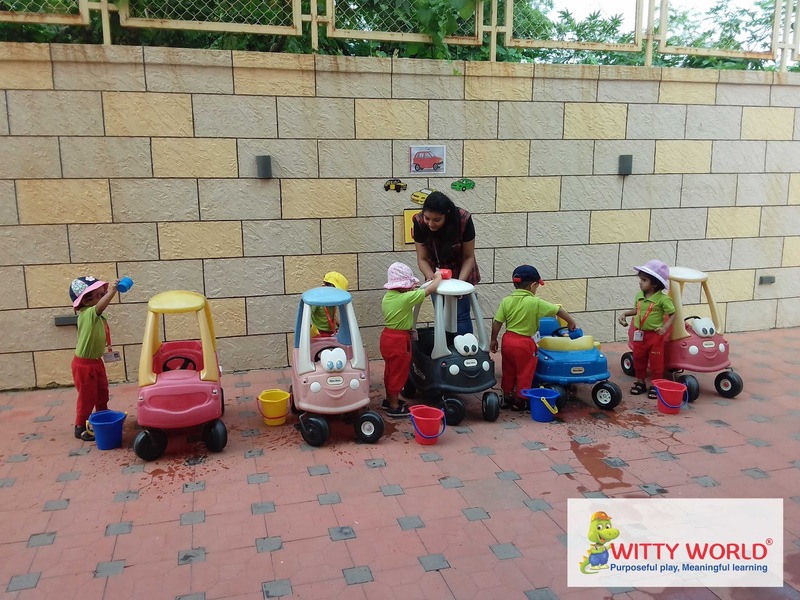 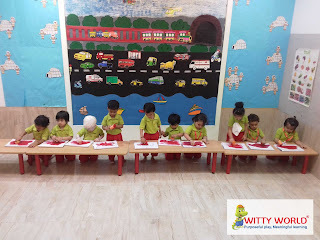 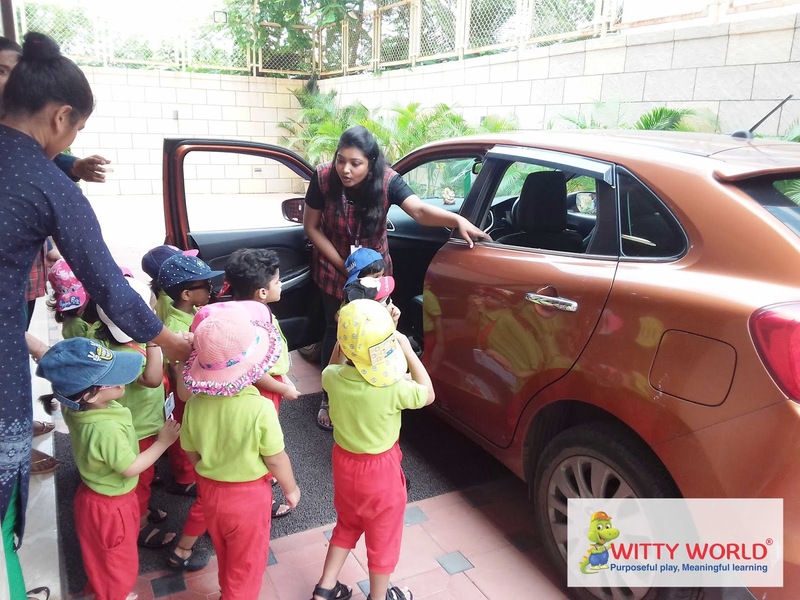 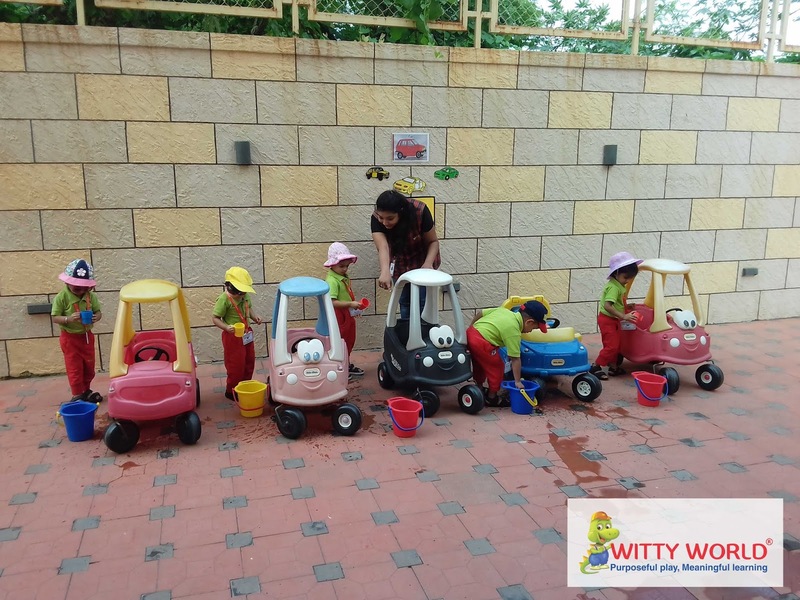 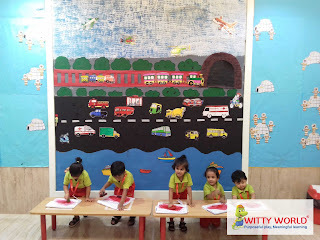 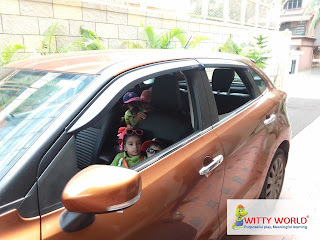 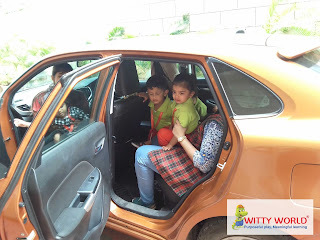 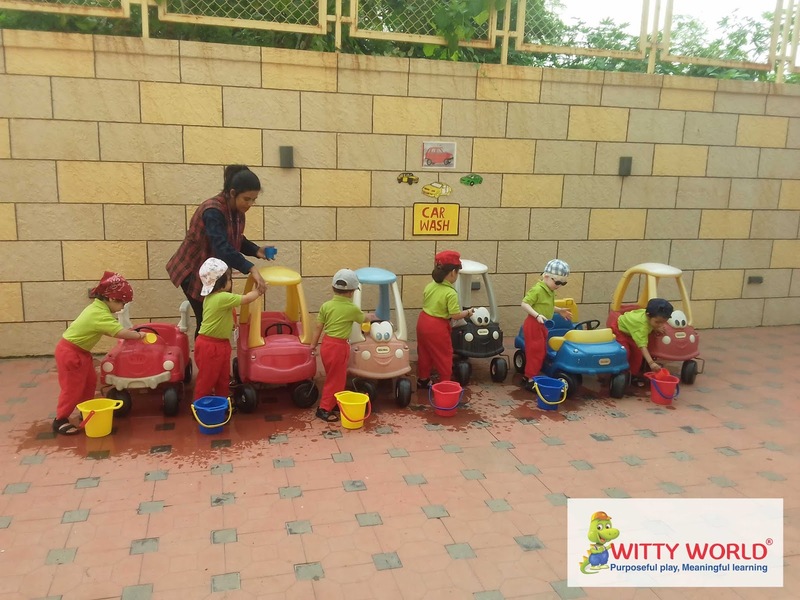 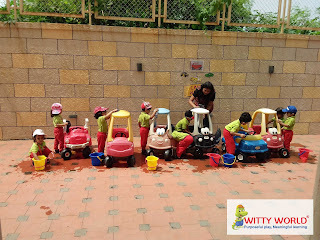 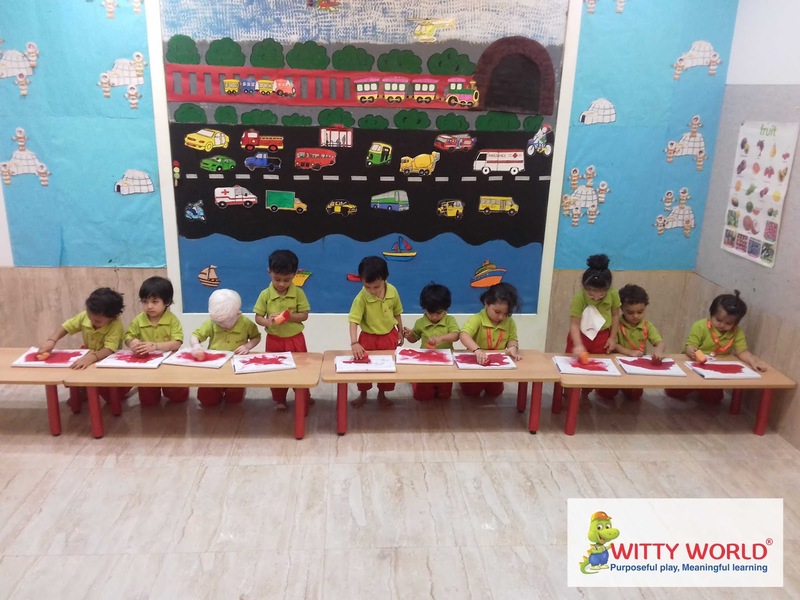 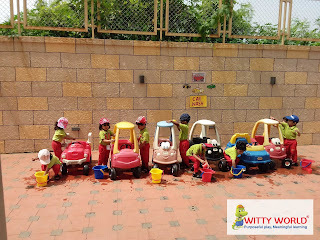 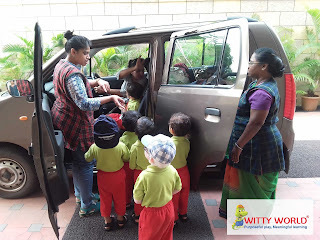 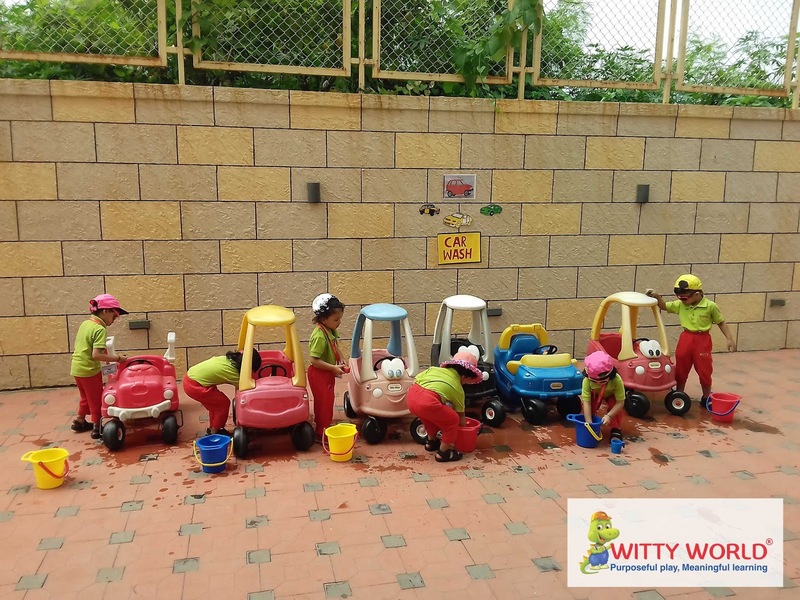 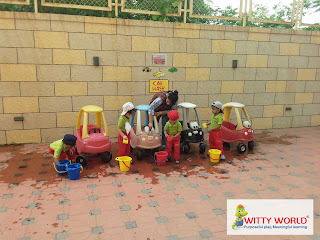 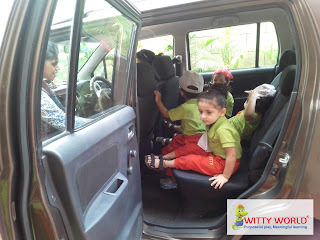 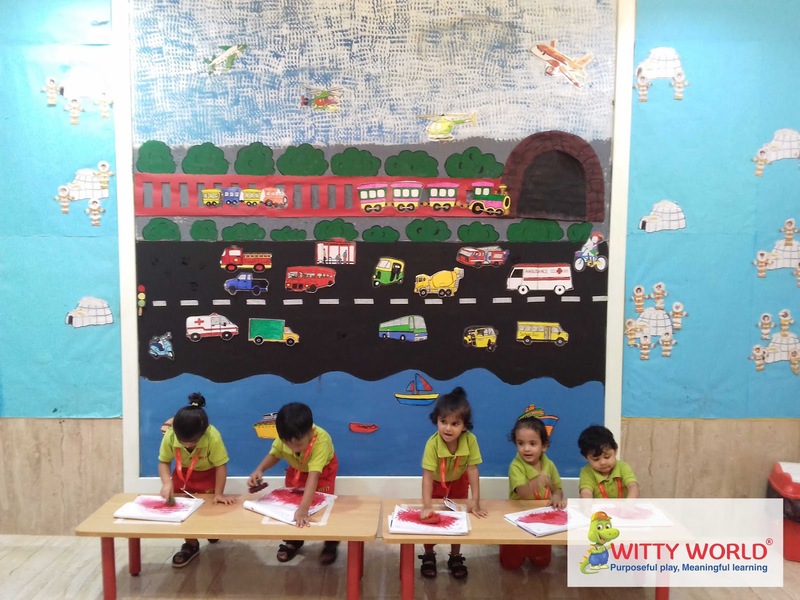 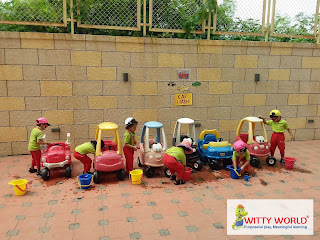 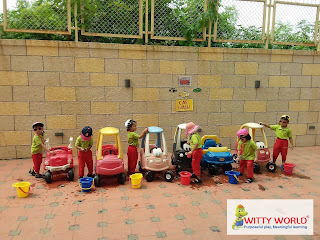 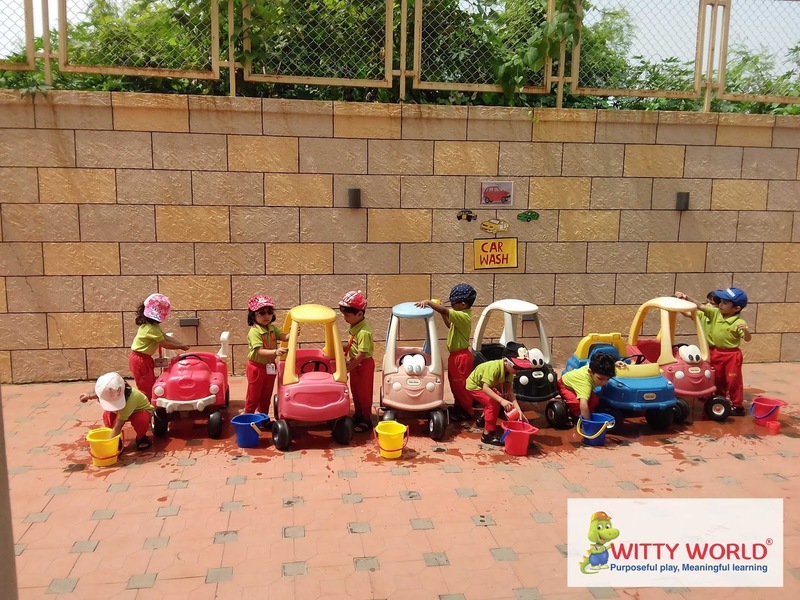 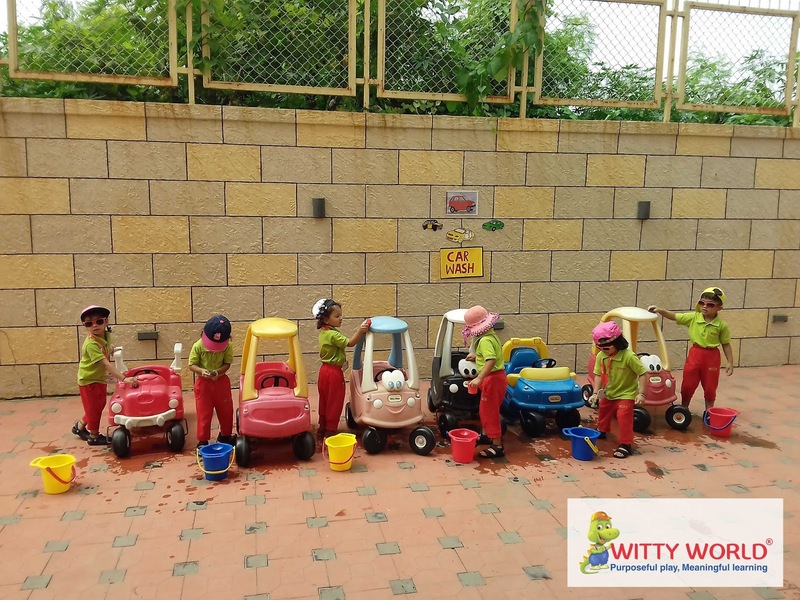 Little Cars are zooming by..zooming by..
On Friday, October 05, 2018 children of Playgroup kids enjoyed ‘Car Wash Activity’. 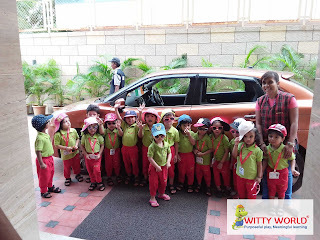 They were very excited and enjoyed cleaning the doors, seat and wheels of the car. 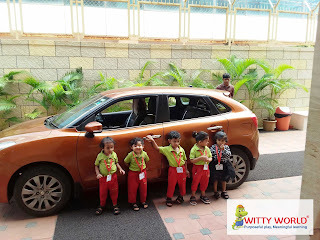 It was indeed a fun filled experience.